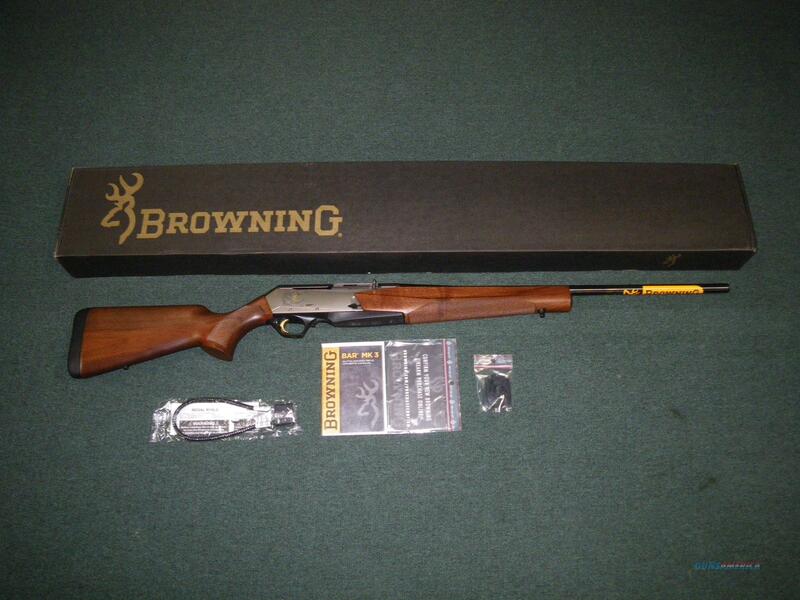 Description: You are bidding on a new Browning BAR Mark III in 7mm Remington Magnum with a 24" barrel. Originally designed by Browning family member Bruce Browning, the original civilian BAR was the rifle that set the standard for autoloading hunting rifles. The latest MK 3 version builds on the previous iterations with completely new styling, fine oil finish walnut, a precision alloy receiver and a hammer-forged barrel. The BAR features accuracy and performance that will make autoloading enthusiasts out of the most skeptical riflemen. The BAR MK 3 is the hunting rifle that sets the bar for every other autoloader on the planet with accuracy and speed that is not matched by any other hunting autoloader. Cartridges are fed from a detachable box magazine, so be sure to keep a spare in your pocket for fast reloads. Displayed images are stock photos. Any questions please feel free to ask (our phone number is in the additional information tab above).